Congratulations, Gina! For the rest of this week we'll be celebrating Inky Gina Welborn's second published novella. 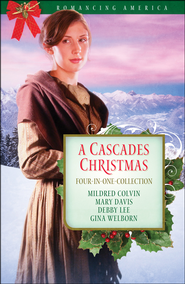 It's the third novella, All Ye Faithful, in A Cascades Christmas, of the popular Romancing America series by Barbour Publishing. 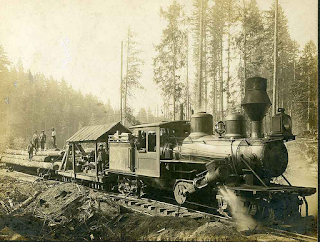 A Cascades Christmas highlights the late 19th century logging industry in the Cascade Mountain range of Washington Territory. The logging industry has always been close to my heart because I spent the first 5 years of my life at Camp #5 in Northern Ontario. I like to say I was born in a logging camp, but in all honesty, Mom made it to the nearest hospital in time for a doctor to deliver me. All the houses in camp were about 6" above ground. I remember the floor was always cold. I also remember being outside once when Dad was having a shower. Hearing the sound of water, I bent down and saw all the shower water coming out the drain right onto the ground. Now that's temporary housing. And at least we had running water. Here's a photo of our house at Camp #5. Back in 1888-1891, though, the logging camps didn't have running water which meant no flush toilets. All water for washing and laundry had to be heated on a wood stove - even on the hottest days. The fire was started first thing in the morning and was kept going until nightfall. It took strength to keep a wood stove filled and the worst job in the world was having to empty the ash box. Like emptying the slop bucket on a ship, it didn't take more than once before a person learned to check which way the wind was blowing before carrying the ash box outside. 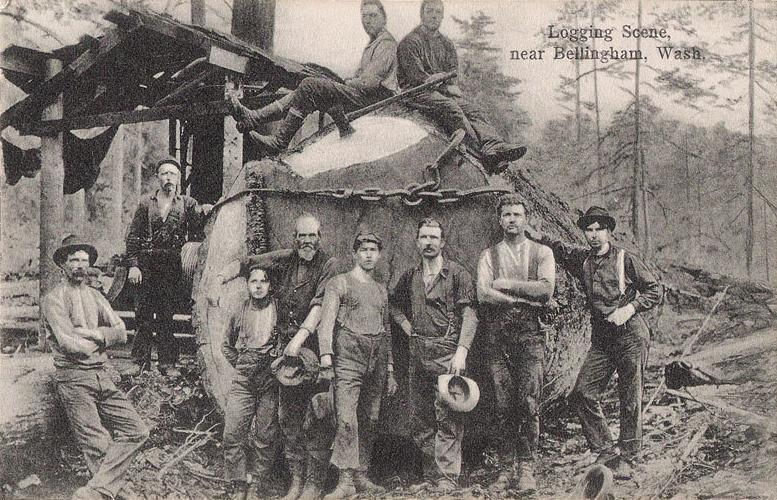 Like cowboys on a ranch, most loggers were single. 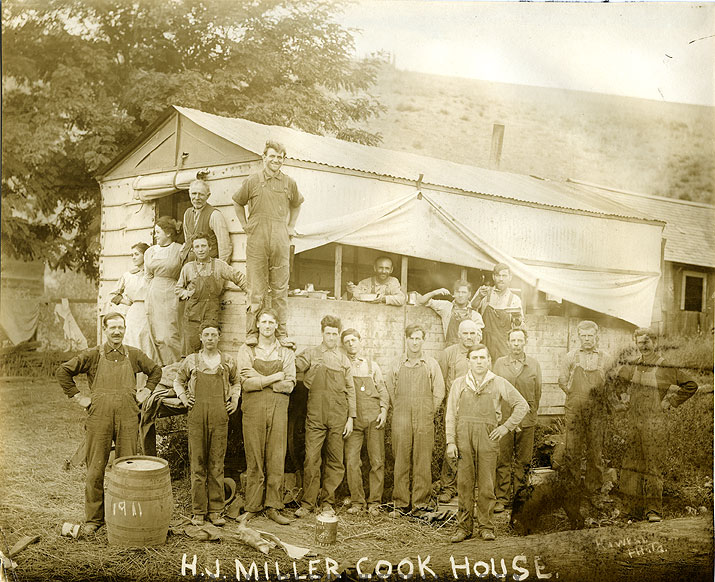 They ate in a cook house sometimes called a dining or mess hall which could be anything from a tent to a more structural log building. Regardless what the outside looked like, the inside was basically the same with long tables and benches for the loggers, with one end designated as the kitchen. 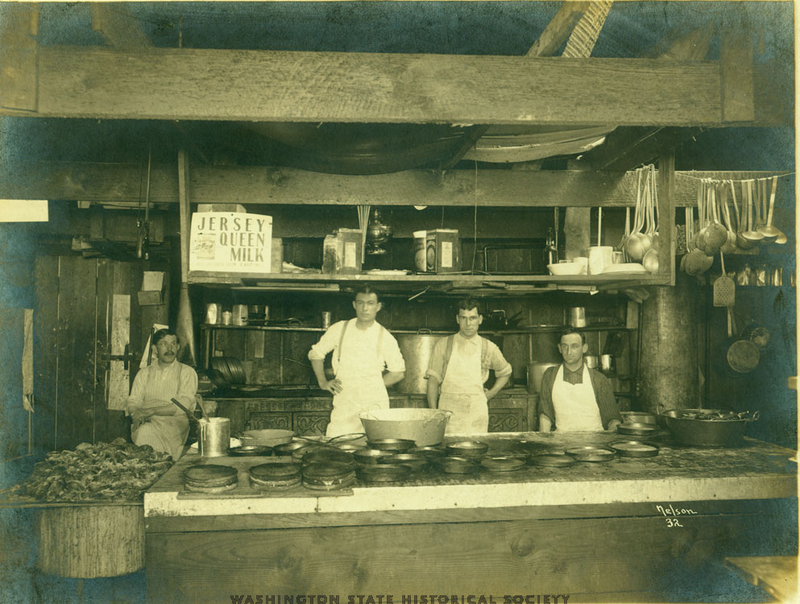 The defining feature would be the long counter which served both as a work space and a serving counter where the men lined up to receive their meals. Charley Little, Cook. Photographer H.G. Nelson, ca. 1900. 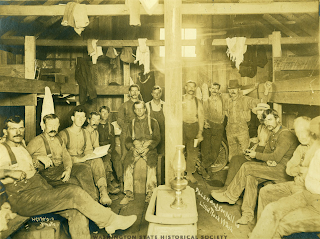 The cowboys - er, I mean loggers - slept in communal bunkhouses. 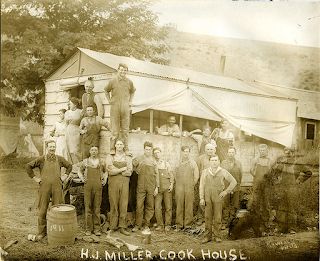 The photo below is a huge building, but other camps had many smaller bunkhouses. Allen and Son Mill Co. Littlerock, Wash. Photographer H.G. Nelson, ca. 1902. Logging is hard work now, and it was worse back then when loggers went into virgin forests and found trees so wide we can't even imagine them felling without modern equipment. Once the loggers have the timbers cut, they have to be loaded onto flatcars for a trip to the nearest sawmill. More effort was needed to move the logs from the trains to the sawmills, a feat usually done by oxen, but it depended on the distance between the two. By the time oxen went out of fashion, the diameter of the trees was small enough that a team or two of horses could do the work. 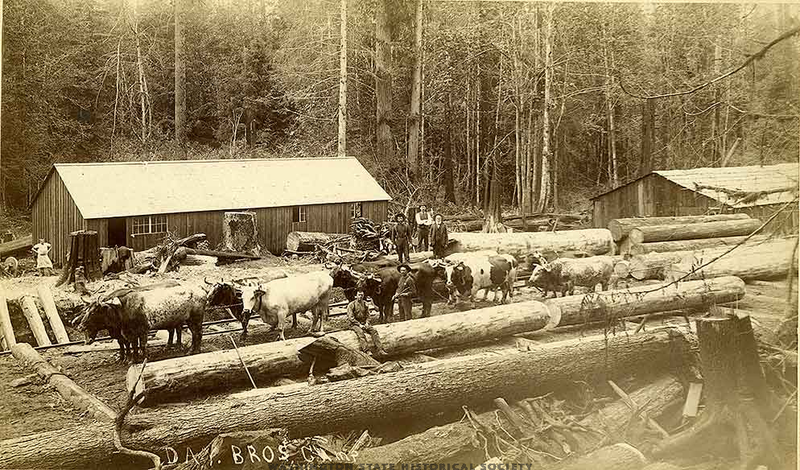 Day Brothers logging camp in Western Washington Territory, ca. 1880. And finally, the finished product. 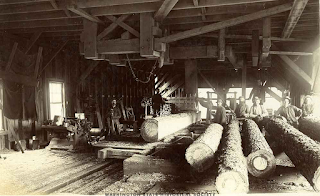 I can smell the fresh-cut wood just by looking at this photo of the back end of a sawmill. Have you ever chopped wood for a fire? Used a bucksaw on a log? Sawn a piece of lumber? What a great way to look at the history of the logging industry! I'm looking forward to the week of Gina and sharing her story, which I've had the pleasure to read. Anita, you made me cold just hearing about the uninsulated houses. Hopefully there was enough wood around (ha ha) that families were allowed to keep a decent stove fire going when it got really cold! I admit I don't know much about the other stories in the novella so I need to go searching for that. We have some excerpts tomorrow, a discussion of the faith aspect of the story on Thursday and a review of Gina's novella on Friday! 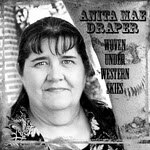 Thank you Anita Mae! wonderfully done! Hurray Gina! I've already had the privilege of reading her novella and it's classic Gina. Funny and lighthearted and charming. Right up until it socks you in the nose with a deep spiritual point. Anita your passion for logging history comes through in your post. Do you think you'll ever use such a setting? What really amazes me is how some of you ladies jump around location and time periods. I don't know how you can keep it all straight. I'm totally fine with sticking with 1800s Virginia for a long time. That's enough history for my head to contain. 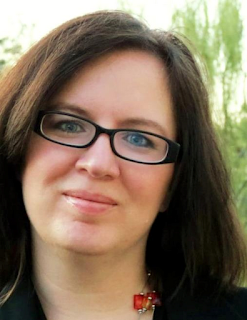 Congrats on your second novella, Gina! 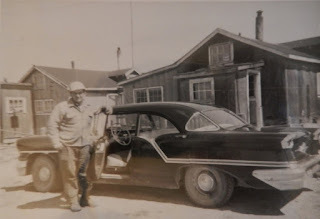 My Dad worked in logging camps in British Columbia and Saskatchewan when he was single (in the 50's I believe). He hasn't talked a lot about it other than being there though. yes, I've chopped wood for a fire too! Still like doing that for a firepit on a cool evening! That's a great look at the logging industry. It was like a crash course, so interesting! Loved the old photos. Congratulations to Gina for her new novella collection! Forgot to answer your question, Anita. I've never sawn or chopped a log, but my husband and dad have done it plenty to keep us warm in Maine. Thanks, Debra. I tried to match the photos to the stories, except for the town. About Camp #5, only my feet were cold, so I think the walls must've been insulated. If you click on the photo to enlarge it, however, you'll see that the walls only have black tar paper - not a lick of siding or stucco on the walls. Several of the Christmas pics I showed last year - the ones where I'm in ringlets - were taken at Camp #5. Why, thank you, Lisa. I have to admit, the hardest part of living on the prairies is missing my trees. No, I've never considered writing about the logging industry because much as I like it, a lumberjack just can't hold a candle to a cowboy. Sorry, ladies, but one trade evokes rough and ready, and the other smooth and steady. Probably because loggers destroy nature, while most cowboys have a deep respect for the land. That's not to say that I would never write about a logger hero... just that I don't have any ideas for one at the moment. Good question, Lisa. And yet, see Iyou've avoided my question, eh. Sure, Dina, says the lady who's gone from medieval England to modern Islam, to 1800 Virginia. Ha! Hey Elaine, nice to hear from you. We should explain to the rest of them that although you and I both live in Saskatchewan, I live just 1.5 hrs from the US border where it's practically devoid of trees. Unlike many agricultural places that are now treeless because of settlers, my part of the prairies is as bald as the way God made it. You however, live 4 hrs north of me where the prairie begins to meet the bush. I can't call it forest because it's not rich timberland. I don't think any of Saskatchewan was ever that, but there's certainly logging going on farther north of you. Ah, someone who's chopped wood. Yay! I thought I was alone on this one. I actually love chopping wood. There's something to be said for taking out your anger by the downward swing of the axe. Just to hear the whack and crack as your log splits in two with a chunk flying off to either side. Or that awful thud as your axe sinks into wood that refuses to split. Yup, been there, done that. LOL. Maine - the word alone evokes fall colours, so yes, I would imagine there'd be plenty of wood chopping going on. Which reminds me of another thing I miss living here... the smell of woodsmoke, especially in the crisp autumn air. The smell of burning flax fields just doesn't measure up to woodsmoke. I think Mildred Colvin, Mary Davis, Debby Lee, and Gina Welborn did admirable jobs with their characters. I would've stopped reading if I didn't think that. The heroes in A Cascades Christmas come over as gentle and caring. Just one example is the gift Frederick gives Emma. Which only goes to prove that a hero is the man inside and how he handles the job he needs to do. Wow, that's really interesting. I knew logging had to have been hard work, but man! but what a dangerous profession. And it didn't end after the cutting. guiding logs down river might have been worse, who knows? Anita, you are sure to bring in a lot of visitors with this post and no one could have done a better job of it. Your insight is priceless! I look forward to the rest of the stories in this collection. Lisa captured Gina's book so well. Thanks, DeAnna. One thing about hard work... it sure puts muscles on a man. Heh. I'm finally here. Had some writing stuff I needed/wanted to attend to. Okay, Anita's question about cutting down trees . . . When I was in elementary school, dad and a friend used to go chop down trees for firewood. Sometimes we go as a family and make a day of it. Fun! Us kids got to use a double handle saw to cut manually. Not sure why we thought that was fun. I am sooooo glad Anita shared her wonderful experience with us. When she asked me for logging history, I, umm, well, I confess I had nothing to share. My research into the logging industry was minimual to non-existant. But since Mildred and Debby did such a nice job conveying the lumberjack and train driver experiences, I let my sawmiller hero do mininal work in the mill. Unload train. Do paperwork. Yada yada. So I hope what I included is enough to capture the spirit of my logging hero's job while I focused more on the romance. Elaine, I haven't forgotten you or the book I have to mail. I am, sadly, not multitaskable. Oooh, I need to go make a lemon pie for dinner. Debra, I think knowing your way around a saw depends on where and when you were raised. People raised in areas where there is electric or gas heat never needed to learn how to chop wood. And if you never built anything, you'd wouldn't have a need to even pick up a saw. Yes, it's dangerous work - even chopping wood in your backyard if you're not paying attention and the axe slips off the wood and keeps going until it hits something - anything in its path. My Finnish grandmother was visiting us when she woke one morning saying something happened to Pappa. She got on the Greyhound and headed home. She found Pappa in the woodlot trying to stop the blood flowing from a terrible gash in his foot. He'd missed his target with the axe and the momentum kept the axe swinging until it hit bone. If God hadn't told Mamma, we could have lost Pappa that day. Gina, considering my writing stuff ended up being your writing stuff, you're forgiven for coming late to your own party. Thanks for sharing about those wood cutting days as a youngster. It is fun when it's a family affair and you don't see it as a job but as an excursion. And that two-handled saw you were talking about is the buck saw in some circles, or the two-man saw in others. You're making lemon pie for supper? Okay, now I feel guilty for taking you away from your writing today. I saw that email on the Finish The Book loop where you said you have mucho stuffo to write today still. But lemon pie? Man, I wish I was one of your kids at times. Ha! Fascinating, Anita Mae. You always come up with the most interesting pictures, too. I learned a lot! I have not chopped down a tree. My sawing experience is very limited. The most exciting thing was working with my husband to build a patio cover. Not a lot of sawing but some. I can't wait to read Gina's book. Just to add further to the explanation of the variety of Saskatchewan geography, I do live about 4 hours north of Anita where the trees begin in Saskatchewan. The logging my Dad did was about another three hours north of where I live and where there isn't much except trees and lakes. You certainly couldn't do any logging around my city but there are lots of trees up north! Saskatchewan is a large province!! Gina, I am looking forward to your book -- whenever it arrives! The lemon pie sounds good too. I've recently decided that lemon pie is one of my favourites -- along with peach pie! I'll pass on many other pies though. i love reading your history posts, i always learn something interesting. growing up, we three kids headed to the mountains of Colorado near Evergreen, where my Grandparents lived on a few acres of mountain. we'd spend the weekend cleaning out the deadwood of the forest and helping Grandpa, Dad and Uncle chop wood for the winter. Grandma and Grandpa had "Bergheim" their mountain home that had a double sided fireplace that was kept burning for most of the winter. one side of the fireplace faced the kitchen, the other - the living room. my happiest childhood memories are visiting Bergheim, watching the hummingbirds, chipmonks and squirrels running about just outside the kitchen picture window. it broke my heart when Grandma and Grandpa had to sell it and move into Denver to be closer to medical help. i suppose if there was one place i could retrieve (were I independently wealthy) it would be Bergheim. you've taken me down memory lane Anita. Thank you!!! And hooray for Gina!!! I love your stories. Elaine, one of my most memorable events when I was down in California in July was when we were touring the famous beaches of Orange County. Our driver explained that Orange County was the size of Ireland and that it encompassed Los Angeles, Anaheim, and many other famous cities. He concluded by saying there were 40 million people in Orange County. I almost choked! Forty million? I repeated. Yep, forty million. They didn't believe me when I said that was more than the whole population of Canada. Haha. And you wonder why they have a smog problem down there. Thanks for coming back with the geography, Elaine. Down here we always think of Saskatoon being the halfway mark in the province, but no, there's so much more above it that we tend to forget about. Thank you, DebH. I've missed hanging out with you online, - totally my fault as I've been hiding in my cave. Great post, Anita. I love the old photos, especially the one of the man on one end of the bucksaw working on that HUGE tree trunk. I'm happy to say I've never had to chop wood, in any way, shape, or form. I'm fairly sure that's how gals like me lose toes. Congrats on the new release, Gina! WOO HOO! First, congratulations to Gina on another book! Interesting post, Anita. I noticed there are no trees in the picture with your step-father. There's something kind of funny there. My mom used to have some of those old 2-man saws in her garage, part of an estate that came to her. My in-laws were looking for some years back to hang on their walls (they live in a rustic house in the woods), so they have them now. I think the agreement was that they come back into my family afterward. Me, I'm originally a Midwest gal, so not a lot of trees until we moved when I was in high school. But our (dh and moi) first house was a Victorian-with-potential, so I know a bit about radial arm saws, jig saws, circular saws, etc. My brother says a wood stove keeps you warm twice: once when you cut/split/stack the wood, and then again when you burn the wood. Congratulations, Gina! Long may the new Queen of Novellas reign. My logging experience with logging consists of almost drowning on a log in a lake when I was a kid. But the logging camps are cute. There are a lot of cool historical towns in Washington and Oregon that are fun to visit. Anita, why was your house elevated? Thanks, Jen. I'm not sure what you mean by 'girls like me', though. I can’t imagine you think of yourself as klutzy because I certainly don’t see you that way. Although there was that time… Ha! CJ - Camp #5 was in a clearing on top of a cliff with trees on 2 sides only. The road in was cleared and we walked a bit of the way to get water from the spring. The cliff side was open, too and it overlooked a lake. I remember standing on the edge and looking down at the men working the logs. Sometimes the lake seemed full, and at other times not so much. It probably depended on the season although as a kid I didn't make the connection. The older I grew, the more I thought I must have dreamed that cliff because what kind of parents allowed their little kids to stand there and look down? I mean, I don't even remember a fence of any kind. Last summer when I went to see Mom, I took photos of her photo albums which is how I got that one for the post. And I asked Mom about the cliff. I said I didn't remember a fence and that I must've dreamed the whole thing. She said no, that's the way it was. We were told not to go near the edge and somehow, we all obeyed. Well, I guess I went a bit further than I should've, eh, or I wouldn't have that memory. Have I told y'all yet that my Crystal is a tree hugger out in Vancouver? She used to be a tree planter too, until it became too hard on her back. Those two-man saws are mostly seen at craft fairs these days with miniature paintings on them - all with a lot of cerulean blue. Your brother is very wise. Wood heat is also considered a warm heat as opposed to electric or gas heat because it's more of a tangible thing - you know where the heat is coming from and can stand in its warmth whereas the others are just...there. Suzie, you can't put a house on the ground or it'll start to rot from the moisture, insects, etc. I really don't know how we kept the pipes from freezing because they would have been exposed, but there must've been something I don't remember. I know for a fact that houses above the Arctic Circle must be elevated due to the permafrost. Where we live in Sask, if we're going to build a house, we need to set the foundation 8' below the surface to get to the permafrost and stop the house from shifting due to frost upheaval. Permafrost doesn't move. But up north, the permafrost is only a couple feet below the surface. Many people move up there and don't know this. I've seen them building basements as if they lived in the south. And then the permafrost around their basement starts thawing because of the warmth from the cement and their house starts shifting and sinking. It's terrible. That's why if you see photos of the Yukon or Alaska, the houses look like they're on a beach and the floors are insulated like crazy. They need to keep the permafrost cold. And yes, I can imagine there are lots of ghost logging camps in OR and WA. A whole whack of history around there. Anita, I've always found your historical posts to be fascinating, and the logging info fits right in with the book I've plotting for NaNoWriMo this year. My great aunt took over a lumber camp during the Great Depression, and although I only met her once when I was a small child, she made a huge impression on me. I've been doing research on logging for years, and would appreciate any further info you can point me towards. I think it's a great idea to do a book on logging through the Great Depression since the industry would have carried on throughout the 30's, albeit with financial constraints, but it wasn't like the agriculural community which practically collapsed during the long drought. Other than living at Camp #5 though, I haven't much information on the industry. 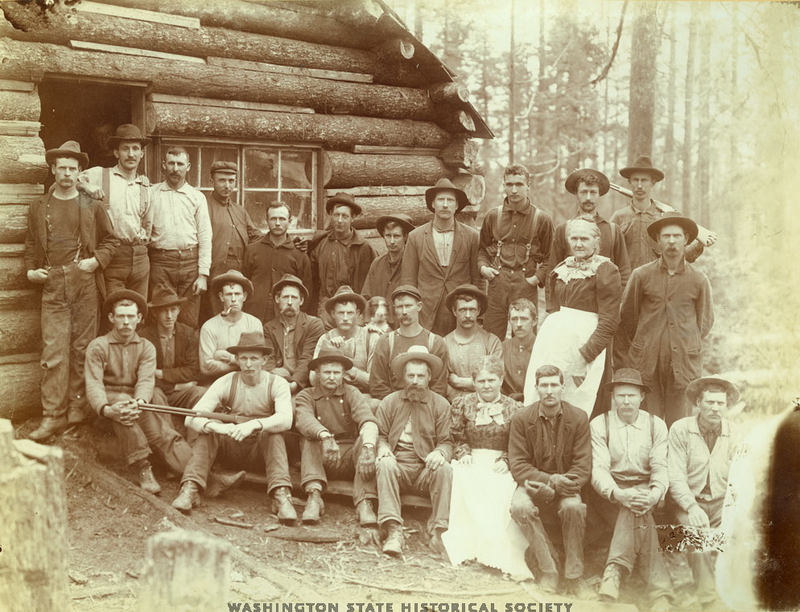 For Gina's post, I was blessed to find the Washington Archival site for all those logging images. 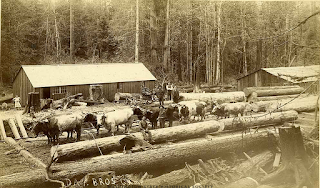 While searching, I found many other logging facts, like the searches going on for ghost logging WA camps, etc. But I was specifically searching for images. Usually when I start research for any book, I'll google for the industry in the provincial or state archives for my setting. From there, I'll search any University, Colleges, Libraries in the state or province before expanding outward to local Historical societies and virtual/online museums. I also use Google Books and search for diaries and journals written by people who worked in the industry. Some are published through museum sites, others in archives, and others are bound books available on google books. Many are free if read online, some are downloadable. Sometimes it takes a while to find these so any time I find a name of someone who did the job, I'll then search for that person and see what shows up.